Good times ahead for the farmers who have sacrificed their land for Amaravati, the new capital of Andhra Pradesh. 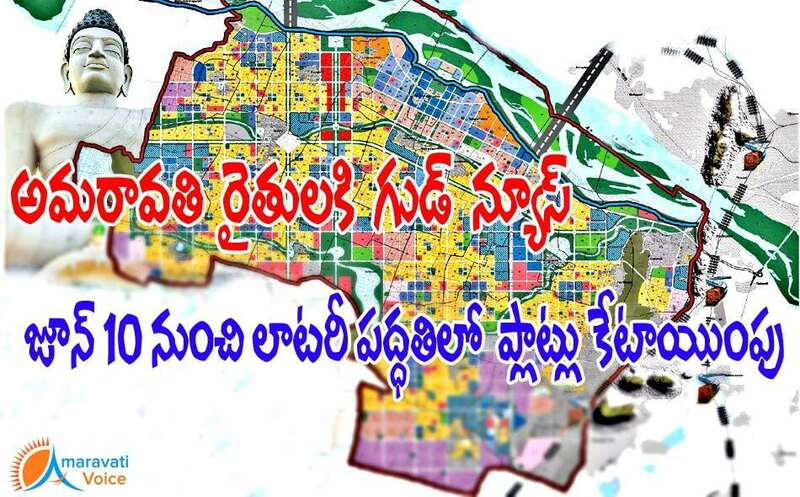 Chief Minister Chandrababu Naidu instructed the officials of the Capital Region Development Authority (CRDA) to hand over the developed plots to Land owners under Land Pooling Scheme (PLS). This process would start from June 10th and this would be completed by October 23rd in all the 29 villages. The land of 1600 acres where the farmers are not willing to give in Land pooling would be taken under Land acquisition and the land acquisition of 1600 acres would be completed by November 30. Also Chief Minister said that forest lands in an extent of nearly 6000 acres are in CRDA limits and another 7000 acres outside should be merged in the capital limits. The lands should be utilised for capital city works.